In today’s interconnected world, we want fast downloads, quick page loads, and gaming sessions with no lag. ASUS has designed two wireless routers to answer those needs. 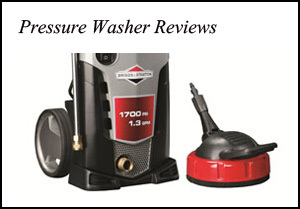 Let’s take a look at them both to see which one will be the best for you. At first glance, the RT-AC3100 looks like it was built by Batman. Its sleek exterior hides the Broadcom BCM4366 AC3100 4×4 chipset with MIMO (multiple input, multiple output) capability. It’s able to transmit up to 1 Gigabit per second through the 2.4GHz radio and more than double that with the 5GHz radio. If you have a wireless card that can keep up and a fast Internet connection, you’ll be pleased with this router’s performance. When we say a wireless card that can keep up, we mean the newer 802.11 n and ac standards found in hardware manufactured since 2009 (n) and 2013 (ac). Those are speedy enough to make the most of this router as well as the RT-ACAC88U described below. But what if you have older devices? There’s no problem. The RT-AC3100 communicates with 802.11 a, b, and g too. It works with WEP, WPA/WPA2, even WPA2-Enterprise encryption. Plus, it has 4 Gigabit Ethernet ports so you can enjoy a blazing fast connection for your game consoles, Smart TV, PC, Apple TV or Roku. So who would benefit most from using the ASUS RT-AC3100? People with large homes that want a strong signal with good coverage. Gamers will appreciate it, and so will those who love to watch videos online. How can the RT-AC3100 help gamers? In multiple ways! First, there’s the built-in QoS, or Quality of Service. You can set it to free up more bandwidth for gaming sessions online. 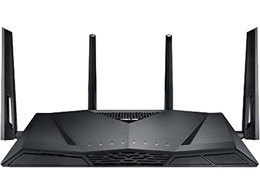 Second, the router software includes the Gamers Private Network that automatically routes your connection through the fastest path possible. Third, the AiProtection software keeps you safe if you shutdown anti-virus programs that hog memory so you can focus resources on the game. If you’re concerned about safety and anonymous browsing, The RT-AC3100 comes ready as both a VPN client and server so you can protect your connection from snoopers. It works with various protocols including PPTP, L2TP, and OpenVPN. With the USB 2.0 and 3.0 ports, it’s possible to plug in both a printer and an external storage device. That way all your devices can print and share files over your own home network. It comes with AiCloud to manage your files and backups as well as a printer server. The built-in media server software is ready for you to share videos, photos, and music throughout your home network. It supports file formats like jpeg, avi, divx, mkv, mov, mp4, mp3, wma and more. If your Internet connection comes through a 3G or 4G dongle instead of a fiber optic or cable connection, that’s no problem. This router will share it all the same. When you have visitors, you don’t have to give them your Wi-Fi password anymore. AiProtection that lets you set up a Guest Network as well as filter access, set time limits, and block inappropriate sites. Finally, you can manage your router from a smartphone or tablet with the ASUS Router App for both Android and iPhone. It even lets you upgrade the firmware. Here’s a little secret: the ASUS RT-AC88U is almost exactly same router as the RT-AC3100. The two differences are in their appearance and the number of Gigabit Ethernet ports they have. The RT-AC88U has sporty red accents on its antenna. It also has 8 Ethernet ports, not just 4. This means you can wire in more devices, which may come in handy for some homes. The other benefit to this particular kit is that it includes an external hard drive so you can start running backups over your home network as soon as you set up the router. If you want to learn more about the RT-AC88U router, just take a look at the RT-AC3100 description above. If you have a need for more than 4 Gigabit Ethernet ports, get the ASUS RT-AC88U router. Otherwise, you may save money by getting the RT-AC3100 router instead with only 4 Ethernet ports. Click here to purchase ASUS RT-AC3100 on Amazon.com! 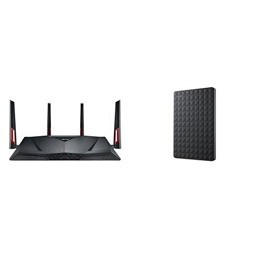 Click here to purchase ASUS RT-AC88U on Amazon.com!